I was recently able to upgrade my monitor for my main Windows 8 PC, which meant that my faithful Samsung would continue service as a secondary monitor. However, my better half soon noticed that opening Photoshop resulted in the following message box. We initially tried ignoring or using the profile but this resulted in the Color Picker retaining a distinct yellow hue, especially the white section. 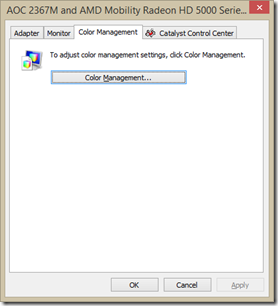 Given the straightforward message the remedy should have been simple, however, I knew that as of CS4 the “monitor calibration software” was removed from Windows Control Panel. So what to do? Here is my simple remedy for this error message. 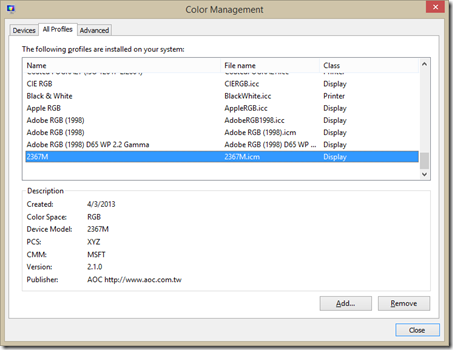 Right click on the desktop and select “Screen Resolution”. 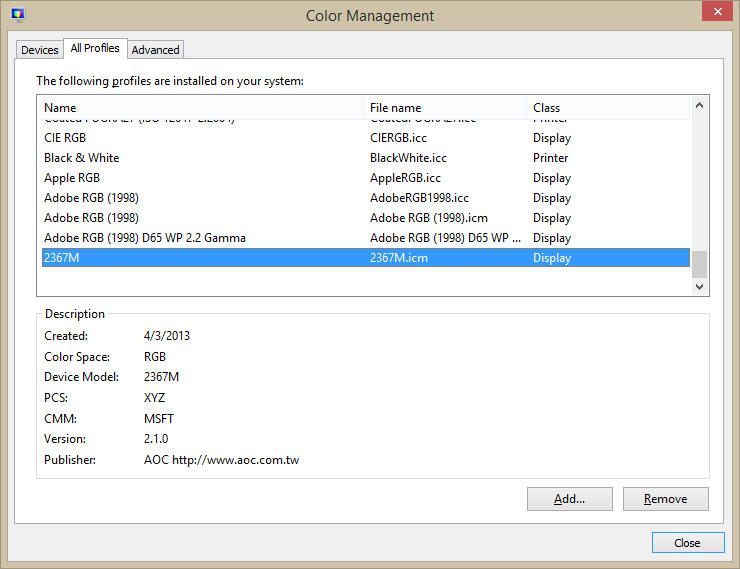 In the bottom right corner click the “Advanced Settings” link. Click on the “All Profiles” tab and select and remove the profile that Photoshop was complaining about. 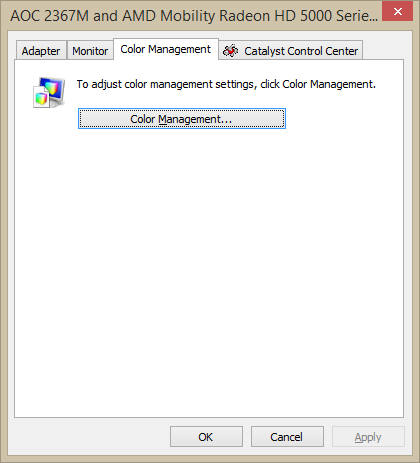 Now when you restart Photoshop the error message should no longer appear and the Color Picker should contain an accurate profile.